In addition to a wide range of standard round and shaped punches and dies, UniPunch provides punch and die pairs in shapes custom made to your specifications. 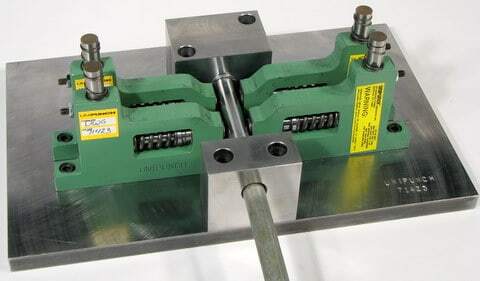 UniPunch units are rugged holders that allow you to punch burr-free holes with minimal maintenance. Various mounting methods are available including dedicated templates for fast changeover at the press. 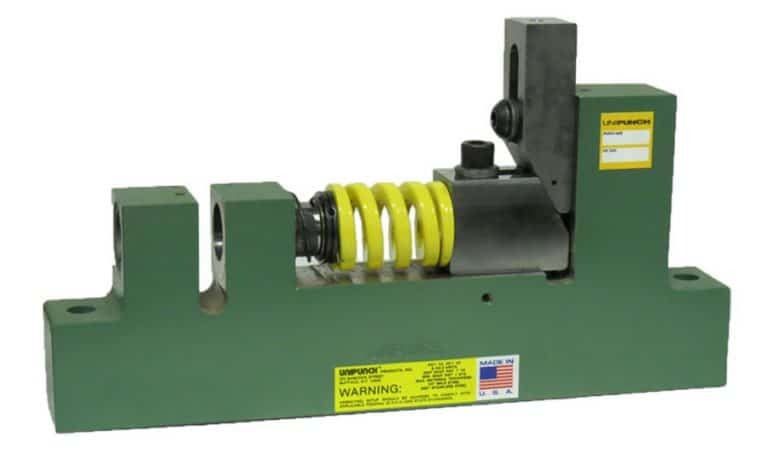 Custom mandrel tube punching setup utilizing “HZ” series units.